The exhibition room is divided into three sections explaining China's pig-raising history and its influence on people's lives, through 260 pieces, including ancient sculptures, pictures, books, stamps, cartoons and art works about the animal. 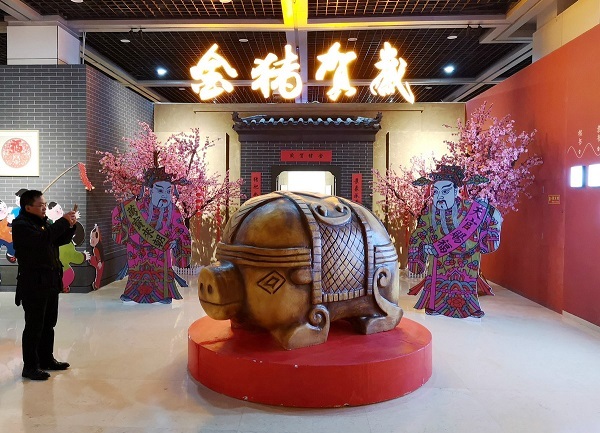 "The pig is closely related with Chinese people's life and regarded as a symbol of luck and fortune," said Du Zhiming, associate research fellow of the museum. One of the highlights is a jade pig sculpture from the Qing Dynasty (1644-1911), which is 9.5 centimeters long, 5.2 centimeters wide and 6.3 centimeters tall. It was designed to be placed on desks or bookshelves as a decoration. The red pottery pigs from the Han Dynasty (206 BC-AD 220), which were discovered in a tomb, show that people were encouraged to raise pigs and that local government had a plan for the local pig industry. Another major item is a tricolor, glazed pig pottery piece of the Tang Dynasty (618-907). It has been recorded that China had a large pig industry during the Tang Dynasty and that some rich families would raise up to 3,000 pigs at home. 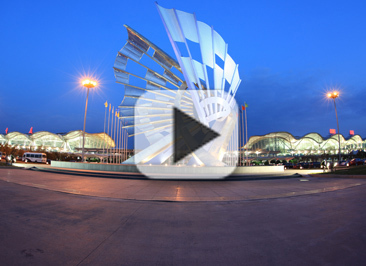 The exhibition is open to the public until March 3.